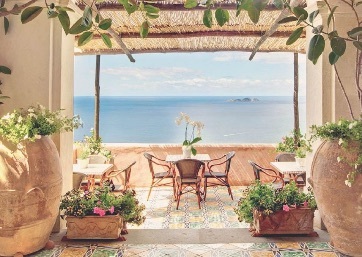 An enchanted location overlooking the gorgeous Amalfi Coast. 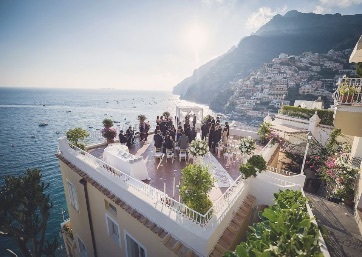 The town of Positano is located in one of the most beautiful valleys of the Amalfi Coast, and the valley opens up to an equally magnificent stretch of coastline: a romantic and enchanting location for celebrating your Italian wedding in Positano. According to the legend, Positano was founded by a group of inhabitants from Paestum who were escaping from the attack of some Saraceni (pirates of the time). 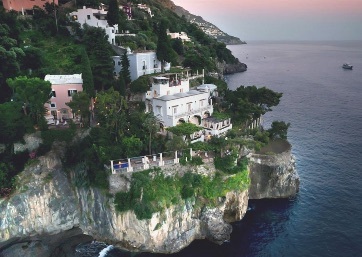 The first official information about the town's existence comes from some ancient Roman documents, but some artifacts from the Palaeolithic Era have also been found in Positano. These artifacts testify to a much more ancient origin of the settlement. At the center of the town you can see the brightly colored 'maiolica' dome of Santa Maria Assunta, the main church of Positano. 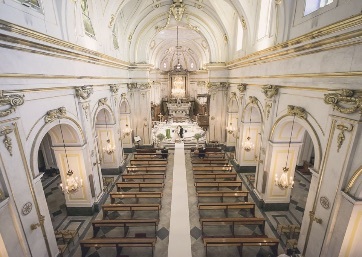 As well as completing the picturesque view of this Southern Italian town, the church is also a very important part of daily life, for many local inhabitants of Positano. Inside, the church features a collection of intriguing works of art from the XIII, and XVI century that are well worth visiting. 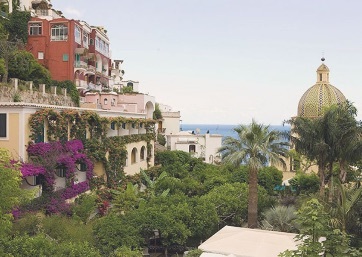 Positano has a very glamorous side to it, because of the famous 'Positano fashion style', this is just one of the many reasons that tourists from all over the world flock to the pathways and boutiques of Positano each summer. 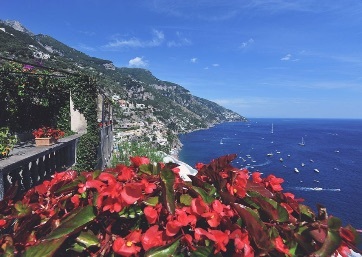 With its beauty, luxurious hotels, bars, restaurants, and shops, Positano is surely a perfect place to Get Married in the Amalfi Coast. 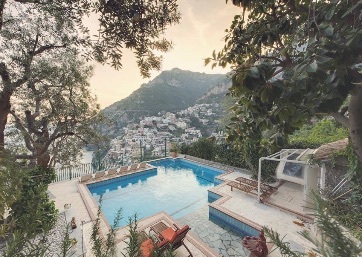 Located in the most beautiful part of Positano, with one of the finest panoramic terraces the town has to offer. 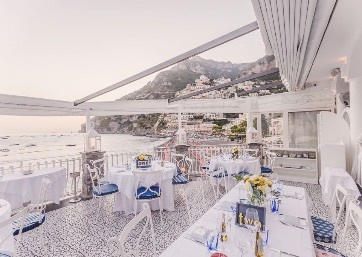 Romantic sea view wedding receptions in Positano, fine dining in a chic atmosphere with incredible soaring views over the coastline. 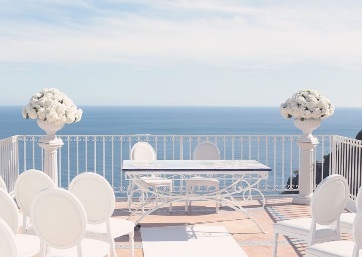 Romantic timeless atmospheres in a XVIII century luxury villa with a breathtaking view of the sea; feel the breeze, the smell of lemon, your dream is here! Exclusive Luxury Villa with all comforts, private beach and unbeatable soaring views for your most important day.